Captain Cabinets (captcabinets.com) is your place to shop for all of your kitchen and bathroom cabinet needs. We offer every day prices that are EXTREMELY competitive along with a high-quality product. Captain Cabinets sells a wide range of quality All-Wood RTA (ready to assemble) kitchen cabinets and bathroom vanities from of TSG -Forevermark Forevermark Cabinets. Purchasing your kitchen cabinets online saves you money. 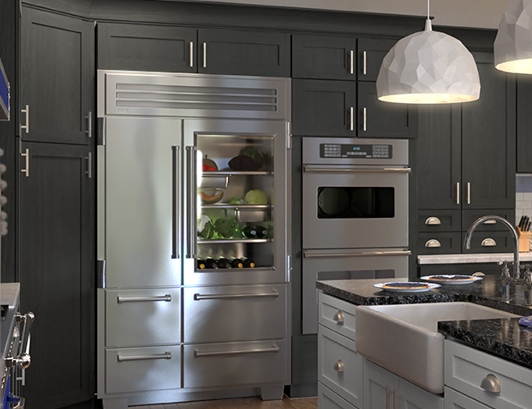 When ordering your kitchen cabinetry from Captain Cabinets, you are receiving a quality product at an affordable price. All of our kitchen cabinets and bathroom vanities are made from All-Plywood Construction and sold at WHOLESALE prices. All orders will be processed by the customer through the Captain Cabinets website. Customers will always receive an e-mailed order confirmation within 1 to 3 business days of each processed order. Our Low Price Guarantee applies to regular advertised price of the competition. If you find a lower price for the same product within 30 days from a valid retailer with a brick and mortar location we will match it. You must provide quote from company on letterhead. This low price guarantee does not apply to or include special promotions by other companies. We offer additional discounts to contractors and other trade professionals depending on the quantity of cabinets purchased. Please see our Industry Discount Program page to sign up.